There are so many different options for flooring these days, but solid hardwood flooring is still a stylish trend for homeowners. It can add a modern touch to any space. Hardwood flooring is known to be very temperamental when it comes to moisture. This makes it a less popular option when it comes to rooms like the bathroom. However, it is still possible to choose hardwood flooring for your bathroom there are just a few factors you should consider before making your final decision. It’s important to look at wood type when you’re choosing a hardwood flooring for your bathroom. There are certain types of wood that’ll be better at combating moisture. You should avoid soft wood types because they are more likely to absorb water. You want to prevent water damage by choosing a stronger wood type. Oak, Cherry, Maple, and Cedar are all better choices. Choosing a high quality floor finish is extremely important if you decide to put hardwood flooring in your bathroom. Unfinished flooring is very vulnerable to water. Adding a finish will help seal your floor preventing any unwanted water damage. The best way to protect your floor is by applying a finishing agent several times creating a tough seal that is hard for water to penetrate. When it comes to choosing a solid hardwood flooring, you’ll notice that it can have a high price tag. You can still get great deals on hardwood you just have to shop around. Another thing to consider is the cost of repairing your floor in the event that damage occurs. 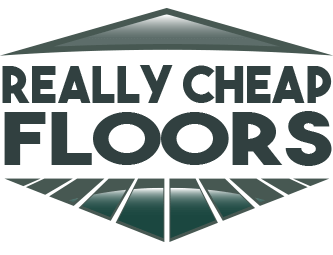 You should make sure you check the warranty when you purchase your flooring. Sometimes the manufacturer’s warranty has exceptions when the flooring is placed in a room with a high chance of moisture. You’ll want to consider this when it comes to calculating the cost. Nobody wants to deal with water damage, but especially when it comes to their nice hardwood floor. The bathroom is a high moisture space which means you have to pay attention to spills on your flooring. You should wipe up any spills as soon as they happen. This will help keep your floor safe from water damage. If you see water on the floor, then you should clean it up immediately. You don’t want water to rest on your hardwood floor at any point. Buying bath mats for your bathroom can be a life-saver. You can put the bath mats down at points in the room where water is more likely to hit the floor. Routinely check your plumbing to make sure you don’t have any leaky pipes. Clean and inspect your floor regularly. You want to spot water damage before it reaches the point of no return. These are all things to consider before choosing hardwood flooring for your bathroom. Solid hardwood flooring can be a great option for the bathroom as long as you routinely check it. At ReallyCheapFloors.com we offer amazing flooring options for a reasonable price tag. Check out our guide on hardwood flooring for more information.